Enjoy a night of contact sports this Saturday 10th June at the Arona Pro Fight Night, where 24 amateur and pro kick boxers will come face to face at Jesús Domínguez El Grillo Sports Complex in Los Cristianos. 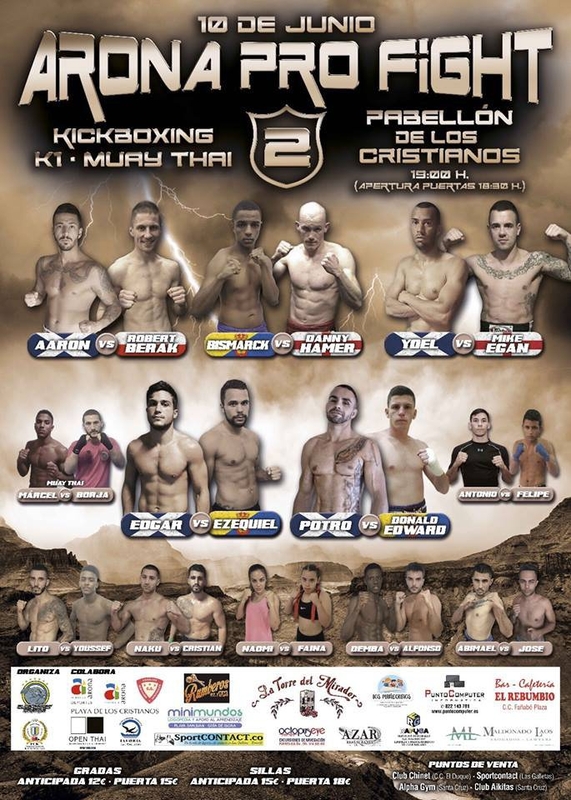 Organised by Club Chinet i collaboration with the Canarian Federation of Kickboxing, the fight night kicks off at 7pm and tickets cost 12 Euros for standing and 15 Euros for seated if bought in advance or 15 and 18 Euros on the door. You can buy the tickets from the following outlets: Club Chinet,, Sportcontact in Las Galletas, Alpha Gym and Club Aikitas in Santa Cruz. For more info call: 922 761 600.